A stunning traditional style bridge kitchen mixer from the Bristan Colonial collection. 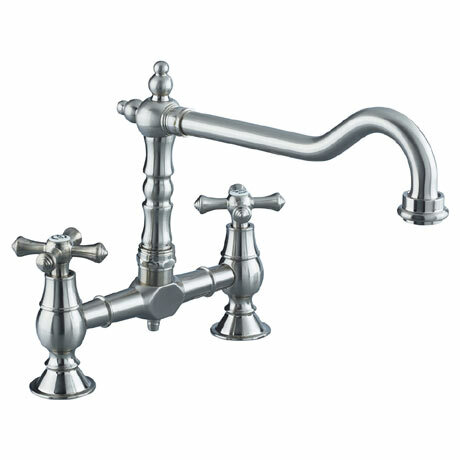 Smart and classic styling will make the Bristan Colonial taps a centerpiece in your kitchen. Constructed with an all brass body with white ceramic indices, they are suitable for all plumbing systems.